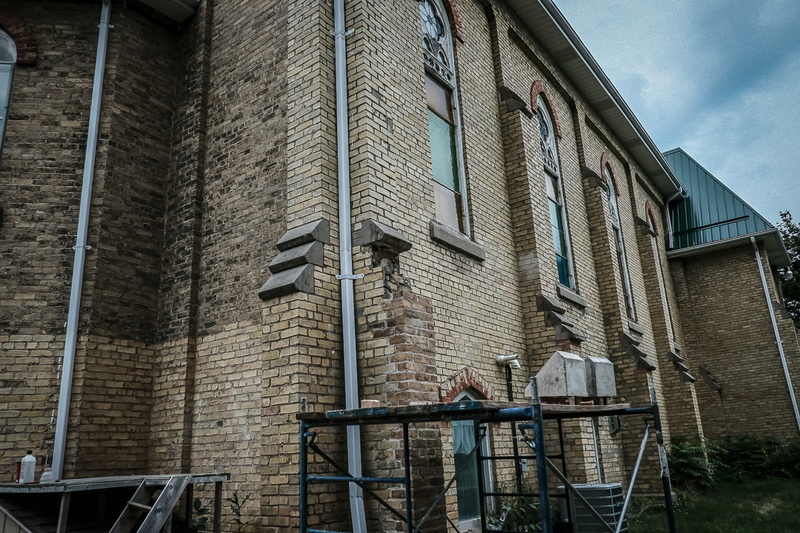 We were finally able to have the brickwork done on the building in late October. 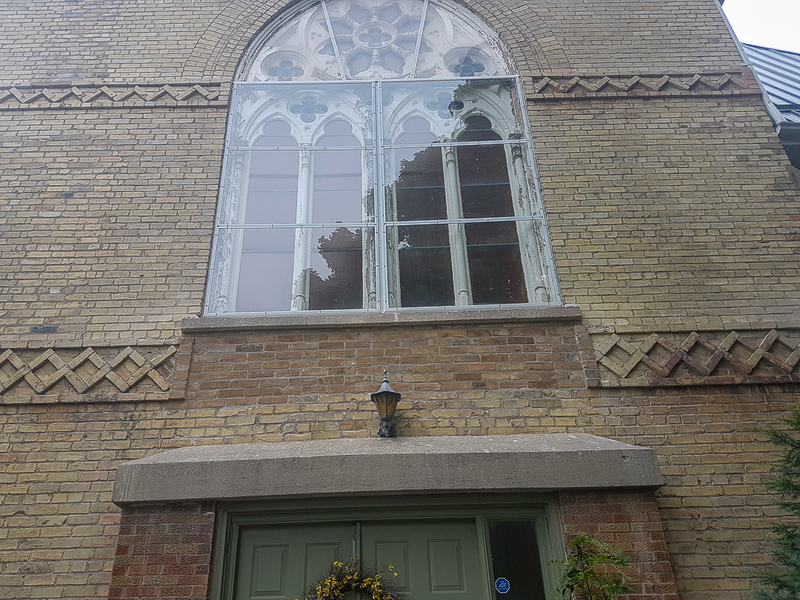 There were issues with the buttresses and their caps, many shattered bricks under the front rosette window and cracks all around the building. 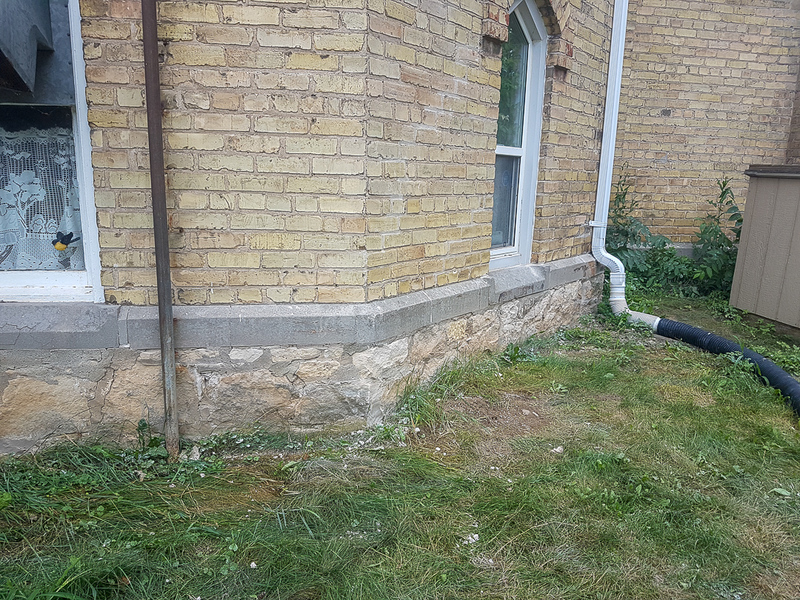 We started to have some moisture issues (especially in one corner) and needed to correct that issue before doing any other renovations. 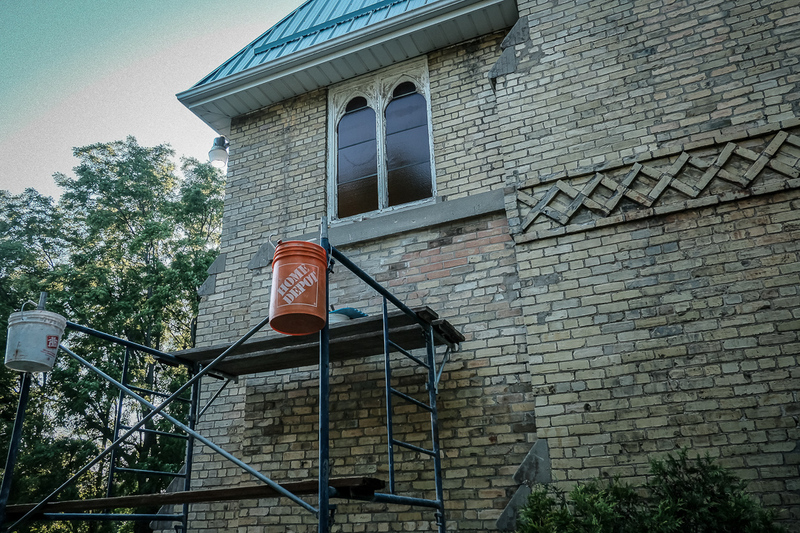 Also, with the shattered bricks underneath the window, there was some concern about the stability of the precious stained glass window. 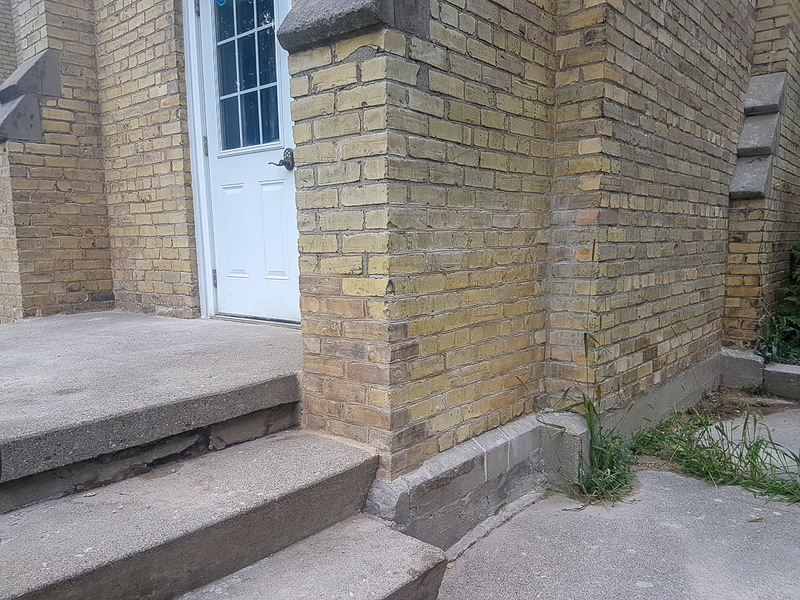 Apparently, when renovations were done in the 1950s or 60s to make one central entrance instead of two separate entrances, the incorrect mixture was used in the mortar. 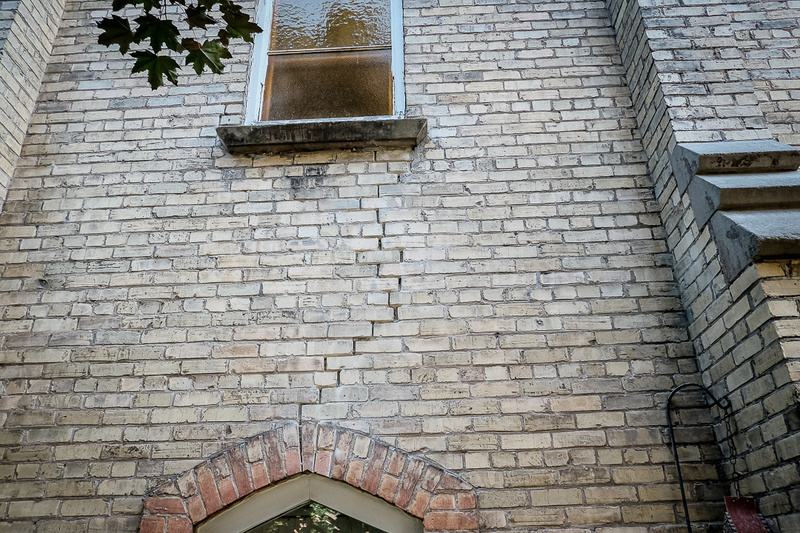 Because the mortar was stronger than the brick, the bricks would just shatter during freeze and thaw periods – yes, like explode – and fragments would land 5-10 feet from the house. 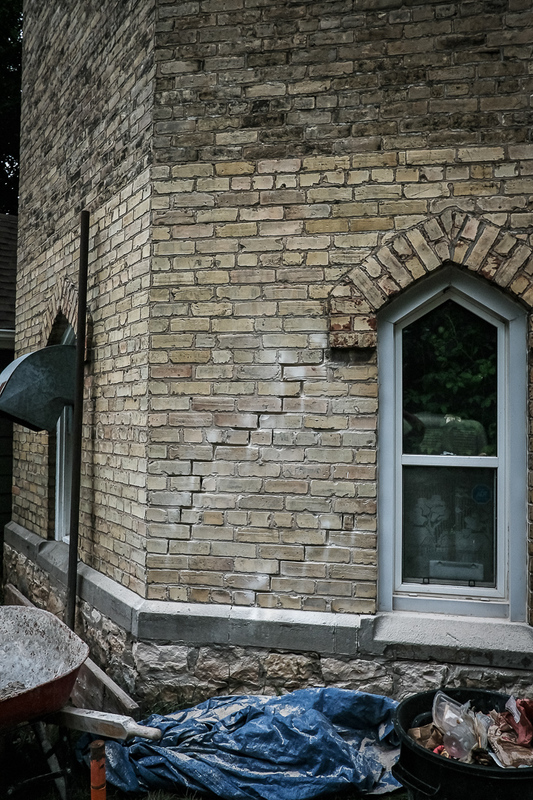 We chose someone who specialized in heritage buildings to repair and replace the damaged bricks. 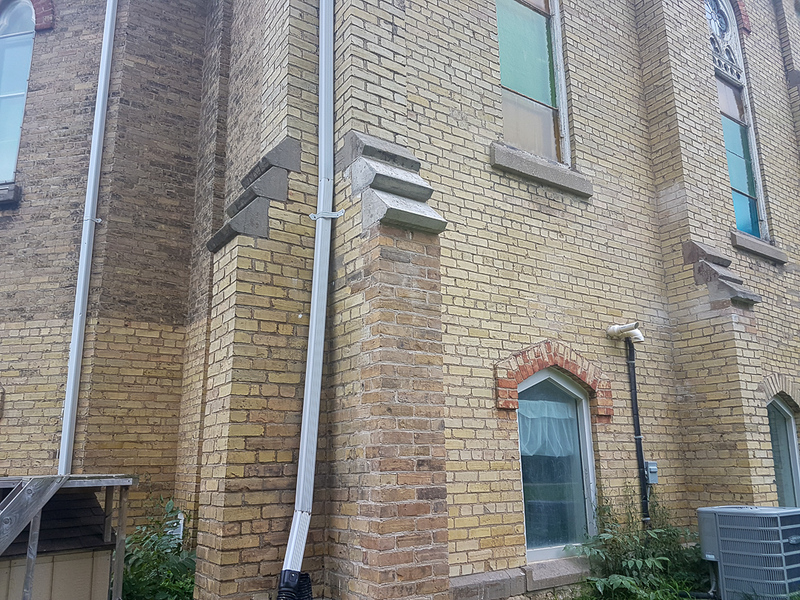 Elite Masonry did a terrific job and we are quite happy with the outcome. 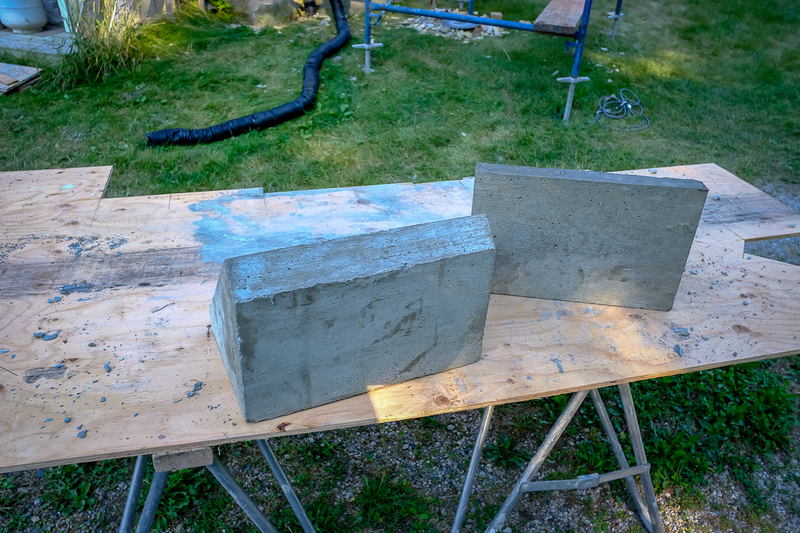 He even created custom made buttress caps to replace the crumbling ones. 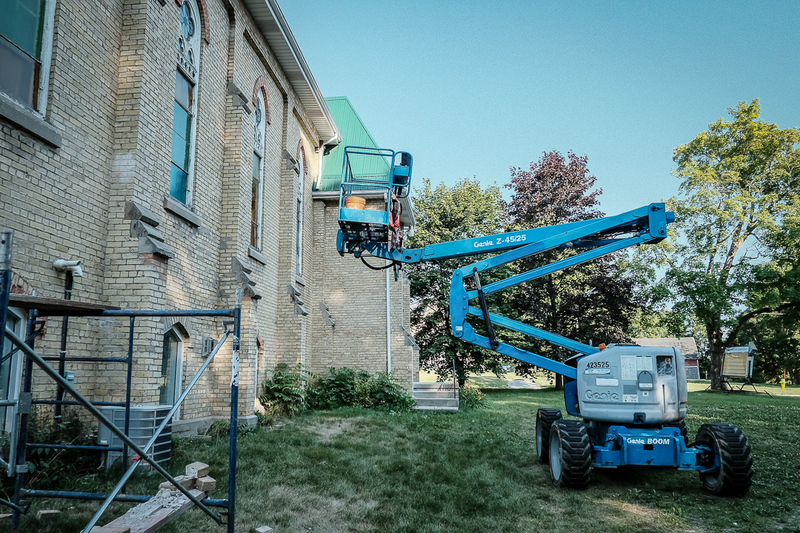 I would certainly recommend them if you have a building that needs some TLC.